Music is a big part of my life. Not so much that I try to drown the world out with it, but rather embellish on certain moments, such as when working out or waiting at the airport. We rely on our devices to perform when we need them, and when we ask them to perform beyond our expectations, it is not often that one is up for the task. Over the past couple years, earbuds have taken on a new role of being a hands free phone extension, which means they not only have to be comfortable for extended use, but also should offer a quality mic that picks up your voice with some precision. Let’s face it, if you’re calling someone from your headphones, chances are your voice is also competing against a lot of outside noise. But before I get to the Zipbud’s phone compatibility, let’s start from the beginning… with its music performance. I’ve heard a lot of good things about these earbuds over the years. So, when I received the opportunity to test their PRO model, I had pretty high expectations. 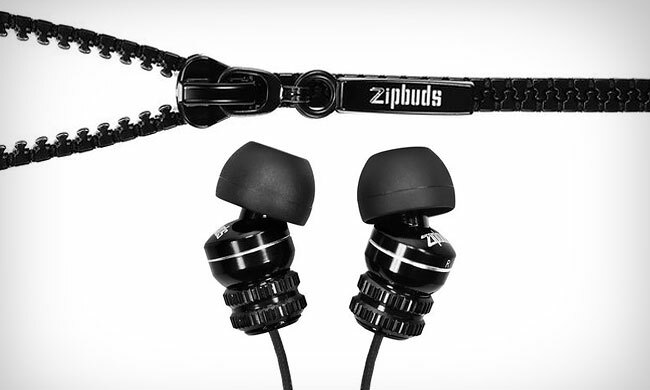 Zipbuds are very stout little earbuds. They come with military grade fibers and a nice big sport zipper, which means they are also a bit heavy. So while their heavy-duty design makes them almost impossible to tangle, they also make their presence more noticeable during intense activity, such as running. This is considering that their heft causes them to swing around a bit more than thinner wires. However, when the activity is normal to minimal, such as when lifting weights at the gym, these buds are absolutely fantastic. The earbud design itself is one of the best I’ve experienced. Its angled speakers allow them to sit in your ear securely and comfortably, and never once did my ear start to hurt after using them for several hours, which is something I experience with the majority of earbuds. The 11mm ZBX drivers are strong, clear and precise. I would compare them to the Jlab Jbuds Sport, which used to be my favorite moderately priced buds. The PRO model not only performs beyond expectation as a headphone, but also as a phone extension. Its noise canceling mic works very well in moderately noisy areas, such as a traffic heavy urban street corner. And just to be clear, the noise canceling is only for the microphone and not the headphones (although the buds themselves provide decent sound muffling). The button controls on the fiber coated wire functioned well on my Android device. It allowed me to answer calls and skip through music tracks, which is just about everything a guy needs. 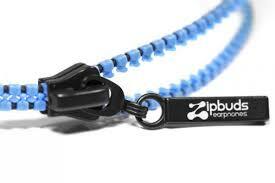 For everyday use the Zipbud PRO’s are practically unbeatable for their price point of less than $40. And their macho appearance and solid performance have made them one of the best gym partners I’ve ever had.